While Suzi and I pack for our trip to Utah and New Mexico, I’m thinking of food to carry along. 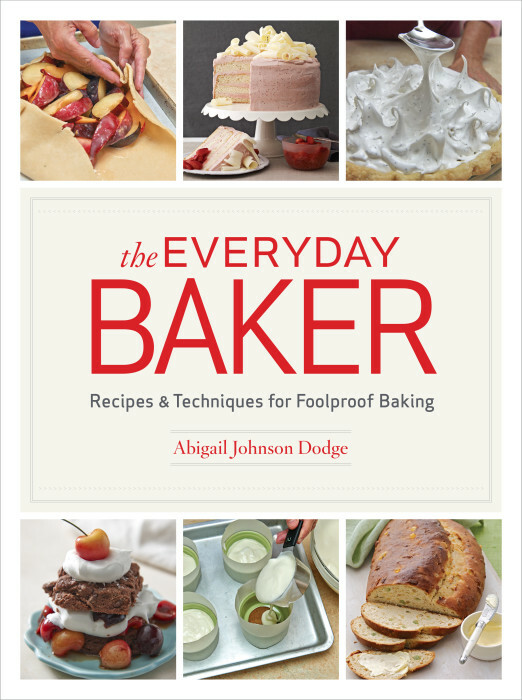 What better place to look for cookie ideas than in the lovely, and award-winning, The Everyday Baker, from Abigail Johnson Dodge. Here’s a review from 2015 that I hope convinces you to check out this key baking book. Recently I did a Throwback Thursday cookbook review for Abby’s The Weekend Baker. That book has been a staple for Suzen and me since it was published. Weekend is filled with tested, reliable, and so delectable recipes. I noted that Abby was about to published her 10th cookbook. It is here now. Out on Monday, The Everyday Baker weighs in at over 600 pages. This massive volume, over 600 pages, displays both sweet and savory baking ideas. Abby’s baking education began with her mother and has extended along many avenues including training in Paris, teaching, writing, and her current twenty-one year spin with Fine Cooking Magazine. She has been a prodigious author writing both big volumes like The Weekend Baker in 2008 and smaller specialty books like Mini Treats & Hand-Held Sweets in 2012. Everyday Baker is by far her biggest, boldest effort. The result is a book that can be your go-to baking guide, the first book you turn to for both recipes and guidance. Most baking books today begin with that dry obligatory chapter about ingredients, tools, and techniques. Abby has one, too: Everyday Baking Basics. Abby does not put the chapter there for you to maybe read. She’s very direct: “No matter whether you’re a newbie or a pro, read through this section before you start baking.” With her years of publication experience, this chapter is tightly written, exceptionally informative, and just the foundation you need for recipe success. Along the way, you’ll find side notes explaining all the techniques you need for restaurant-level perfections. For those wake-me-up frittatas, there is a band of pictures and text showing just how to assemble and cook a frittata. There’s even a hint on the right way to grind parmesan cheese, noting that you’ll get very different volume if you use your food processor or hand grinder. That’s Abby at her detailed best. And if you do happen to want something beyond chocolate you’ll find ideas like Lemon Drop Snaps and Toasted Coconut Meltaways. But I think you may now have captured the flavor philosophy of this book. And I really think the only way to appreciate The Everyday Baker is to lift it up, and it is a tad heavy, and wander through the pages. It’s impossible to survey this book quickly. Every page reveals some flavor combination that just stirs your saliva. It is a sensuous book, and therefore eminently successful. To be great, a cookbook needs to seduce you into the kitchen. The Everyday Baker beckons one powerful recipe after another. The triumph of Abby’s recipes is the combination of doability and complexity. Take that very first cake: Espresso Hazelnut Meringue Cake with Espresso Buttercream and Milk Chocolate Ganache. Abby layers flavors and textures in her recipes, asking you to go do more with an extra flavor, an extra crunch, some extra smoothness, or maybe all three. To help you succeed, the book is studded with hundreds of photo and side notes. You get assistance and reassurance as you craft something that, well, you might not have attempted without such comprehensive help.